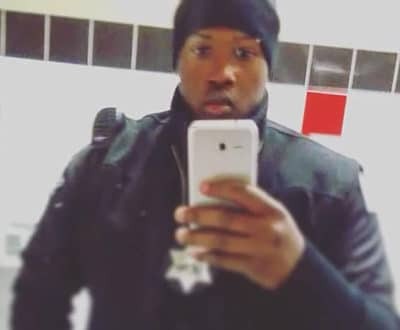 The Illinois police officer accused of shooting and killing a Black security guard in a case of mistaken identity was specifically trained to respond to active shooter situations, a federal court filing revealed. The filing identified the accused officer as Ian Covey, a 4-year veteran of the Midlothian Police Department, CBS Chicago reported. The department later confirmed that Covey, who’s been on paid leave since the Nov. 11 incident when he fatally shot Jemel Roberson, was the officer at the center of the deadly encounter. Roberson, 26, was working security at Manny’s Blue Room bar in a Chicago suburb when an armed man entered the pub and started shooting. Roberson returned fire and managed to take down the gunman but was mistaken for the suspect when Midlothian police arrived. That’s when Covey suddenly opened fire. Thanks to the filing by attorney Gregory Kulis, who’s representing Roberson’s mother, the previously unnamed officer was identified by Midlothian PD on Jan. 18. The department was initially wary about releasing Covey’s name and cited possible threats to his safety as their reasoning for not doing so. Kulis was denied access to Covey’s personnel records, however, sparking multiple protests demanding that they be released, CBS Chicago reported. He’d subpoenaed the Illinois State Police for records regarding the shooting. He still has not received them, however. “When you say nothing, it’s like, OK, a young man lost his life and no one wants to tell us anything?” said Kulis, adding that withholding the officer’s name only exacerbated tensions over the incident. In a statement, Midlothian attorney Nick Valadez clarified that the department decided to release Covey’s name in response to mounting “pressure” from outside groups that had requested the information. “Given that the vitriol has died down slightly and given that the name was being batted around, speculated to, as well as the plaintiff pursuing it and amending the complaint, it just seemed to be time,” Valadez said, as reported by The Daily Southtown. Covey, who joined Midlothian PD in March 2015, has a relatively clean record, according to records cited by CBS Chicago. He was cited for underage drinking when he was 18 years old and was given a supervision for criminal trespassing at 19. During his time with the department, the officer completed multiple certifications, including one from the U.S. Department of Homeland Security. As part of his course, Covey would have been trained to identify the area in which shots were heard and immediately take down the suspected active shooter. However, course transcripts show that steps to identify who the actual shooter is aren’t discussed.